Jamaica Scorpions will take a 226-run lead into Sunday’s third and penultimate day of their third-round day/night contest of the West Indies four-day championship against Windward Islands Volcanoes at Sabina Park. A career-best spell for Jamaica Scorpions all-rounder Rovman Powell highlighted play on Saturday. Powell, the Windies One-day International captain for the Tour of Bangladesh last month, grabbed 5-23 from seven overs to undermine the Windward Islands Volcanoes batting and give the Jamaica Scorpions a 97-run, first-innings lead. The Volcanoes, which resumed the day on 34-1, chasing Scorpions’ first innings score of 210, were bowled out for 113. And Scorpions batting a second time were restricted to 129-6 at close of play to leave the match at an intriguing stage, after Powell led the demolition of their batting. The new-ball pair of Windies fast bowler Shermon Lewis and fellow Grenadian Josh Thomas shared four wickets between them to put the Scorpions’ batting under the microscope once again. 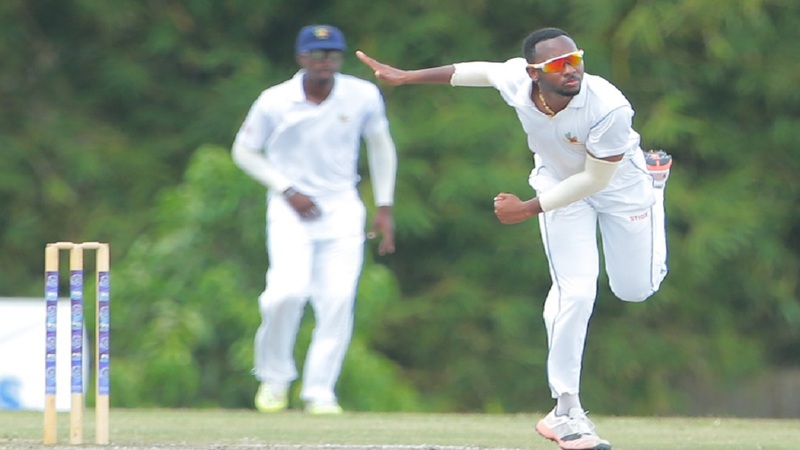 Test batsman Jermaine Blackwood has so far led the way with 35 and Guyanese left-hander Assad Fudadin was once more holding the innings together with a typically resolute 30, as the Scorpions lost wickets at critical stages. Earlier, Powell hurt the Volcanoes with the scalp of Roland Cato and returned in a second spell to collect four of the last five wickets – including the visitors’ Barbados-born captain and Test batsman Kirk Edwards – in the space of 21 balls. Edwards led the way with 29 and Cato added 23, but no other Volcanoes batsman reached 20, as they folded meekly. Scores in the match so far are: Jamaica Scorpions 210 & 129-6 Windward Islands Volcanoes 113. OVER AT KENSINGTON OVAL IN BARBADOS: A second first-class hundred for wicketkeeper/batsman Anthony Bramble highlighted play between front-runners four-time defending champions Guyana Jaguars and Barbados Pride. Bramble was unbeaten on 130, becoming the second century-maker for Guyana Jaguars, as they rammed home their advantage against a formidable Barbados Pride attack. Bramble followed up opener Chandrapaul Hemraj’s maiden first-class hundred with a stroke-filled innings that underlined the Jags’ dominance of a Pride attack that comprised six international stars. Resuming the day on 319-5, Jaguars made 548 and then restricted Pride to 33-1 at close of play. Bramble struck 17 fours and one six from 208 balls in 5 ½ hours to anchor the bottom half of the Jaguars’ batting, as they fell just four short in their first innings of their highest total ever in a first-class match in Barbados. Raymon Reifer, with whom he added 157 for the sixth wicket, made 75 and Sherfane Rutherford, another left-handed all-rounder, showed why Delhi Capitals snapped him up in the Indian Premier League with an enterprising 54 from 43 balls. Tail-enders Clinton Pestano and Veerasammy Permaul gave proof there was sting in the Jaguars’ tail when they both scored 32 to extend the visitors’ innings past tea on a rain-marred day. West Indies ODI off-spinner Ashley Nurse was the most successful Pride bowler with 4-122 from 38 overs. In reply, Pride suffered a setback, when Reifer had left-handed opener Shane Moseley caught at mid-wicket for 15 off what turned out to be the day’s final delivery, due to rain. 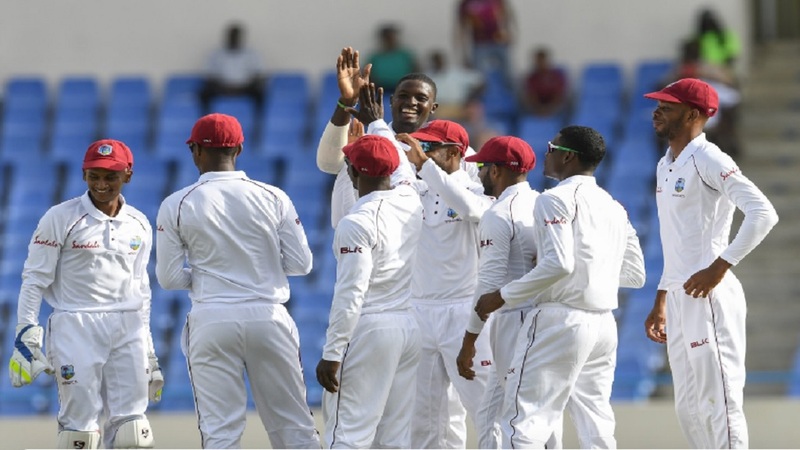 It could have been more painful for the Pride earlier had second slip fielder Christopher Barnwell held a low chance, diving to his right, from WINDIES Test opener Kraigg Brathwaite off new-ball bowler Romario Shepherd. Heading into day three, Pride will find themselves under pressure to first clear the follow-on target of 398. Scores in the match so far are: Guyana Jaguars 548, Barbados Pride 33-1. OVER AT THE BRIAN LARA CRICKET ACADEMY: Left-handed opener Jeremy Solozano stood firm for Trinidad & Tobago Red Force with a resolute half-century, as Leeward Islands Hurricanes knocked off the home team’s top order and tightened their grip on the match . Solozano, a century-maker in the previous round of matches before Christmas, was holding the Red Force innings together, as wickets fell around him, stroking an unbeaten 78 to lead his team to 149-4 at close of play. 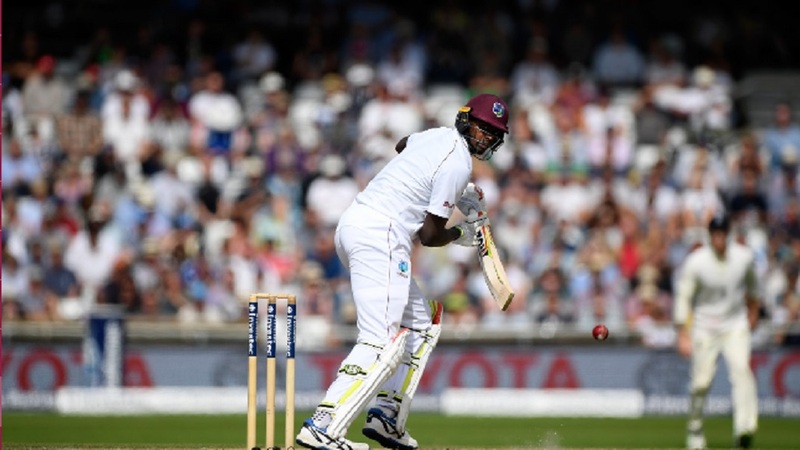 Leeward Islands Hurricanes made 425 after resuming the day on 291-6. 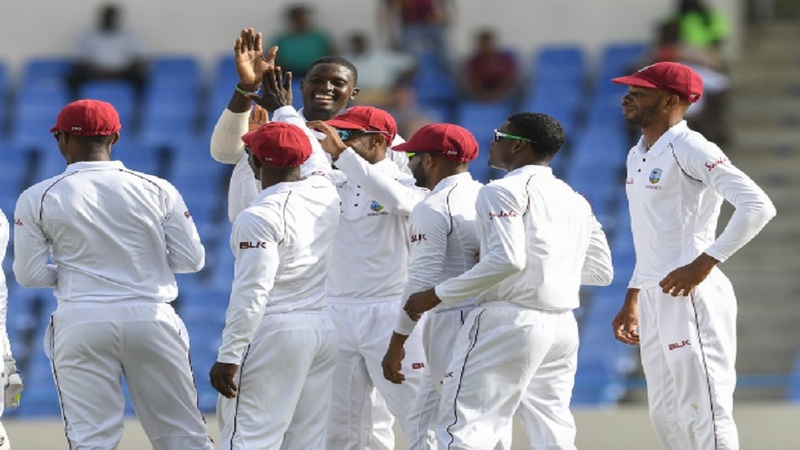 Former Windies Test captain Denesh Ramdin made 31 and left-hander Amir Jangoo added 21, but Red Force lost wickets at critical moments, as the Hurricanes turned the screws. Red Force lost Test batsman Kyle Hope for three in the second over of the innings, but Solozano combined with Jangoo in a 65-run, second wicket stand to ease the jitter. But irrepressible off-spinner Rahkeem Cornwall removed Jangoo and Windies ODI batsman Jason Mohammed to leave Red Force 95 for three. Ramdin came to the crease and eased the tension with a stand of 53 for the fourth wicket before Jeremiah Louis removed him. Earlier, opener Montcin Hodge converted his overnight hundred into a career-best 158 and Louis made an unbeaten 51, batting at nine, as Hurricanes fell 34 short of their highest total ever against Red Force in Trinidad. Scores in the match so far are: Leeward Island Hurricanes 425, Red Force 149-4.